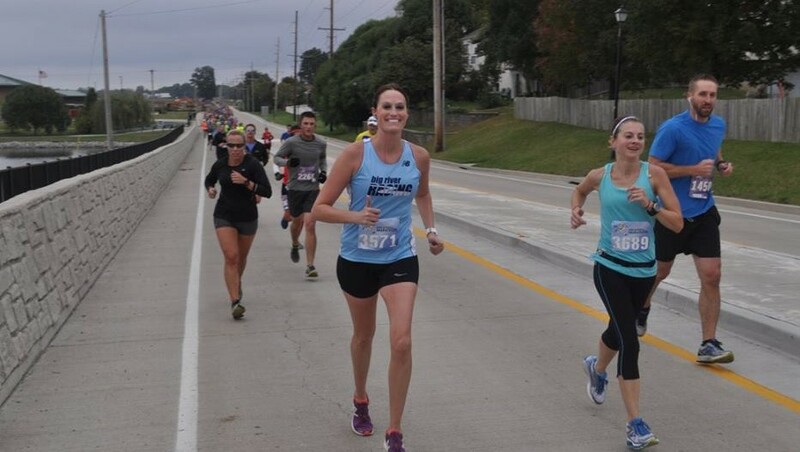 Team member Julie Spurgeon had several PR’s in the half and full marathon this fall. 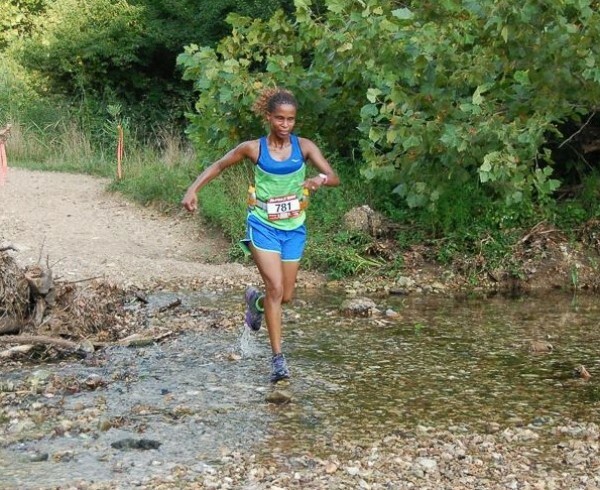 Find out more about her training and racing below! Q: How long have you been a runner and what first got you hooked on the sport? Spurgeon: My dad was a runner and when I was about 9 years old he had me run a 5k race with him. I really enjoyed the experience and began participating in a youth cross country program. After we moved to St Louis I ran the St Patrick Day’s Parade Run with him yearly but that was the extent of my running. By the time I got to high school I wasn’t even sure if I wanted to keep running. The high school track coach, Jim Cary, along with my dad, however, encouraged me to at least give track a try. I ended up running on the varsity track team all 4 years and decided to run cross country my junior and senior years. I loved the thrill of racing and planned to continue running in college. Knee injuries, however, ruined this plan and after high school I didn’t run for 13 years. About 3 years ago I decided to try and get back into running. This is definitely one of the best decisions I have made! 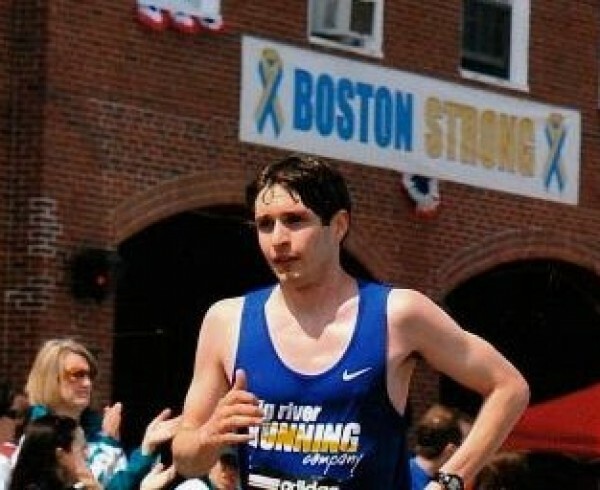 Q: What drew you to race some of the long distances like the half and full marathon? Spurgeon: I first decided to run a half marathon because my orthopedic surgeon told me I wouldn’t be able to do it. Now that may not have been the smartest idea but I can honestly say I have had no serious knee issues since I started running again. After running six half marathons I became pretty comfortable with the distance and felt I needed a bigger challenge. My friend John Kertz signed up for the 2014 Pittsburgh Marathon and I decided to make this marathon my first. I lived in Pittsburgh for 10 years and absolutely love the city. I decided if I was going to run a marathon I might as well run it in the same city I ran my first 5k. Q: What type of mileage do you run to prepare for either the full or half marathon? Spurgeon: I was averaging 50-55 miles per week during training but plan to increase my mileage in January. For half and full marathon training I mix track workouts, tempo runs, hill repeats, and long easy runs into my weekly schedule. 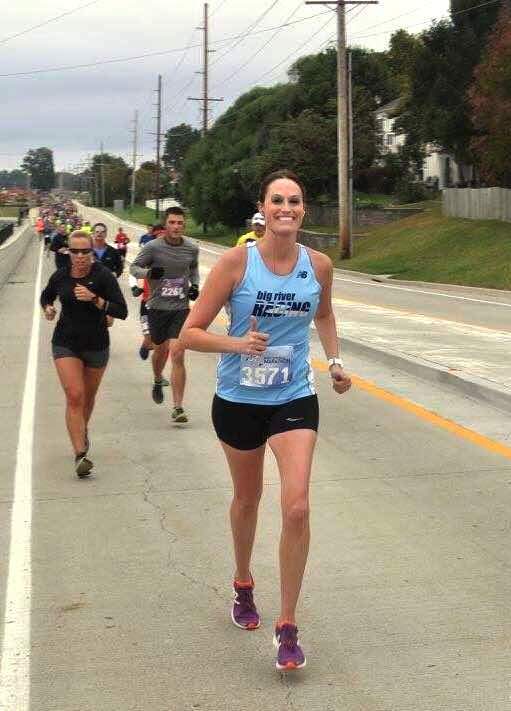 Q: You raced the both the MO’ Cowbell marathon (3:40:06) and Rock n’ Roll half (1:43:31) last month. Tell us about those races and how you felt throughout the course. Spurgeon: This race was a game time decision. My fall marathon in Geneva, IL did not go as planned and I signed up for the MO Cowbell Marathon at last minute. I ran a huge PR at Cowbell (3:40:06) and was not sure if I would run the Rock n’ Roll half two weeks later. On race day, however, I decided to just run for fun and enjoy myself. I forgot my Garmin at home (I was not happy!) and had no idea what pace I was running. I felt pretty good through 10 miles. By mile 11 my legs were fatigued and I had a horrible knot in my left calf. I did my best fight through the discomfort and ended up running a PR. Can’t beat 2 PRs in 2 weeks! Q: You’ve done a couple of the Rock n’ Roll races, is there something particular about that race series that you like? Spurgeon: I enjoy the Rock n’ Roll St Louis course because it has a good mix of hills. I absolutely cannot stand flat races (Rock n’ Roll New Orleans Marathon was torture). There is also always good crowd support during this race. The Rock n’ Roll St Louis Half Marathon was my first half in 2012 and I think that is part of the reason I enjoy it. 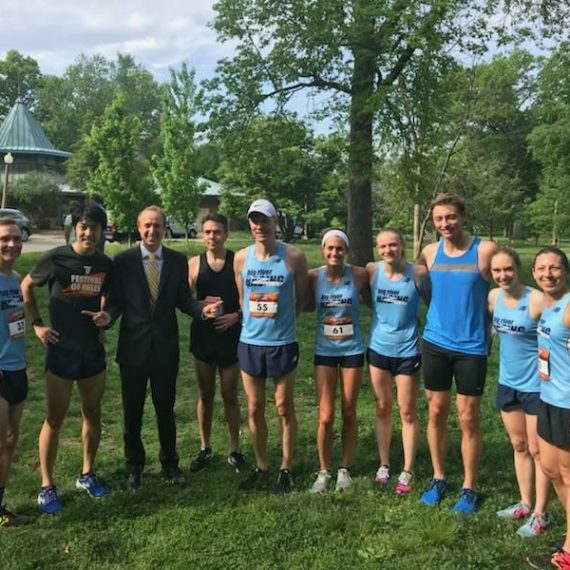 Q: What have you been up to since racing in October? Are you taking some down time from running or gearing up for another race? Spurgeon: I have been taking some down time but am about to start 5k/10k training. I am running the Hot Chocolate 15k in December and will also get some shorter races in over the winter. Q: What is your favorite type of workout to do during training? Spurgeon: I love speed work on the track but also enjoy workouts that incorporate hill repeats. Hill running makes me feel stronger and more confident as a runner. Q: If you had the chance to go for a run with any athlete (famous or regular) who would you choose and why? Spurgeon: Lynn Swann. I am a huge Pittsburgh Steelers fan and he won 4 Super Bowls with the team in the 1970s. He also ran the 1993 New York City Marathon in 4:26:41 (not bad for former NFL wide receiver). It would be fun to talk football with him and also hear what he has to say about marathon running. Q: What do you like best about training with the Big River Racing Team? Spurgeon: I love being surrounded by so many talented runners. There is always someone challenging me to work harder and become a better runner. Q: What’s your next big race going to be? 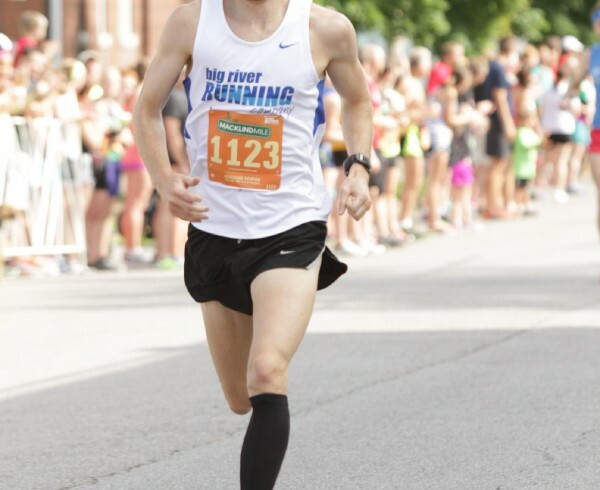 Spurgeon: I will be running the 2016 Illinois Marathon. I’m excited to up my training and see what I can run on this course. 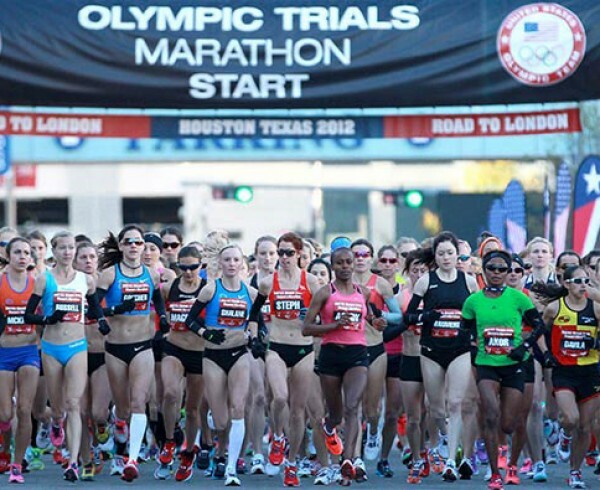 2016 USA Marathon Olympic Trials Preview!